To me, music is all about having fun. 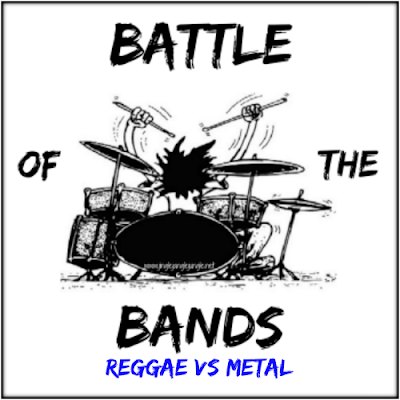 This battle, is probably going to leave you wondering "What was that that I just listened to?" But keep in mind, it's really all about having fun. The Song: "All About That Bass"
"All About That Bass" is the debut single by American singer and songwriter Meghan Trainor. Released by Epic Records on June 30, 2014, it was recorded for her 2014 debut EP and her 2015 studio album, both named Title. Trainor co-wrote "All About That Bass" with its producer Kevin Kadish; it is a bubblegum pop/doo-wop and retro-R&B song that draws influences from various musical genres including hip hop, country and rock and roll. Lyrically, it discusses positive body image. The song was named one of the best songs of 2014 by several publications and received Grammy Award nominations for Record of the Year and Song of the Year. It spent eight weeks atop the US Billboard Hot 100 and topped the charts in other twenty countries, including Canada, New Zealand, Switzerland and the United Kingdom. The song sold 11 million units worldwide, becoming the fourth best-selling song of 2014 and one of the best-selling singles of all time. Fatima Robinson directed the song's accompanying music video, a viral online success that was noted for its visuals and lighthearted nature. The song inspired a variety of viral videos and tributes, while Vogue recognized it as part of "the era of the big booty." Trainor has performed it on television and at various concerts, and notable artists have recorded cover versions. Trainor regularly performed the song during her 2015 concert tours, the That Bass Tour and the MTrain Tour.